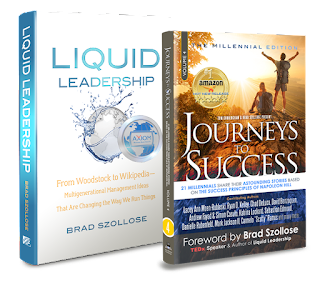 Liquid Leadership: The Official Brad Szollose Blog - Preparing The Next Generation for Leadership : Will Millennials Destroy Business as We Know It? Will Millennials Destroy Business as We Know It? 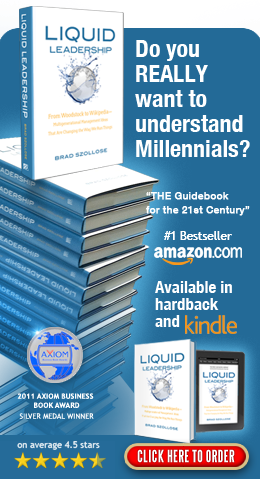 In my unrelenting pursuit of educating ALL generations on the behavioral differences affecting us, Baby Boomers MUST figure out a way to train and prepare Millennials for Leadership. WHY you may ask? Well, by 2020 Millennials are predicted to make up 65% of the workforce. And THAT ladies and gentlemen is only 5 years away. And I ask again: Will Millennials Be Destroying Business As We Know It? So, sit back at your desk, get a cup of coffee, or just enjoy your lunch and listen in as I chat with a rare, and incredibly dynamic Millennial named Jordan Harbinger. He is the co-founder of Art of Charm. And guess what AOC does? They train Millennials in romance, business and over all life-style and career choices...because Generation Y, Gamers, Digital Natives, whatever you have labeled them, have not been taught these things. And BTW: AOC has one heck of a podcast. Jordan is an incredible interviewer...he challenged me and joined in with his own stories. Enjoy. Thank you and let Art of Charm know how much you enjoyed the podcast. email us with your name, title and email address. Ask me how I can help your company evolve into the 21st Century. 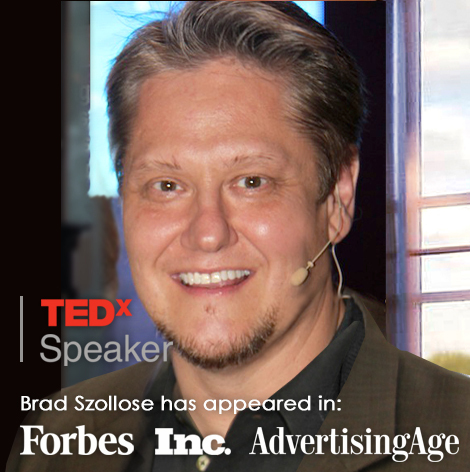 Brad Szollose is a global business adviser and the foremost authority on Generational Issues and Workforce Culture Intelligence. 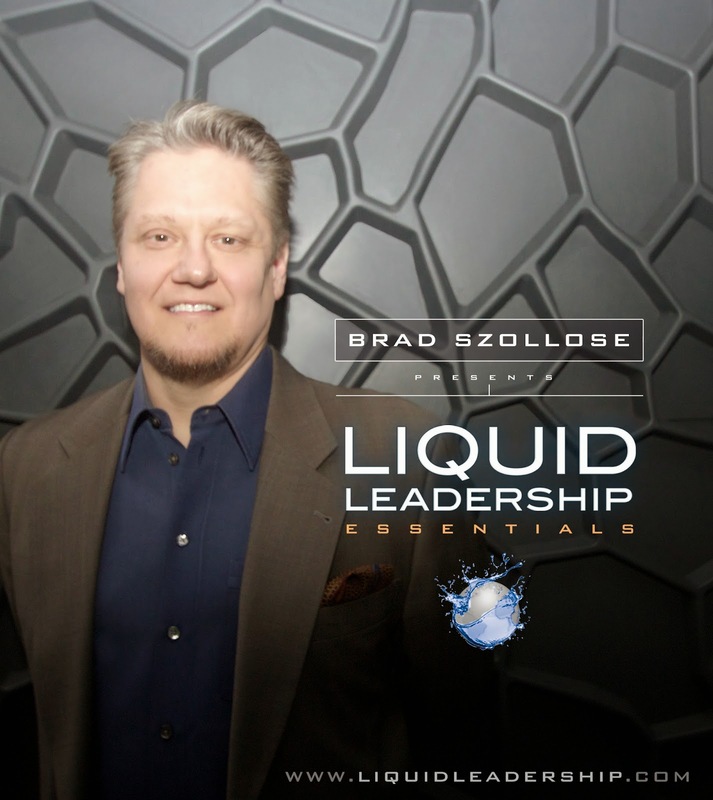 Author of the award-winning, bestseller Liquid Leadership: From Woodstock to Wikipedia, Brad is a former C-level executive of a publicly traded company that he cofounded that went from entrepreneurial start-up to IPO in three years; the first Dot Com Agency to go public in an IPO on NASDAQ. His company K2 Design, experienced 425% hyper-growth, due in part to a unique management style that won his company the Arthur Andersen NY Enterprise Award for Best Practices in Fostering Innovation. 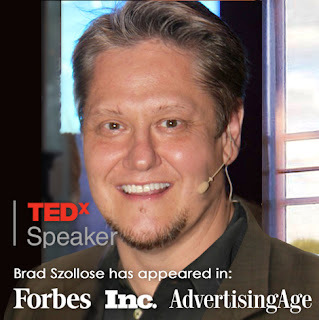 Known for his humorous and thought-provoking presentations, Brad’s keynotes and workshops are highly interactive, heart-warming, humorous, and filled with high-content information that challenge assumptions and help leaders and managers create a better work environment for innovation to thrive. Today, Brad helps smart companies like Dell and MasterCard, understand just how much technology has transformed a new generation, and how that impacts corporate culture, management interaction, expectations, productivity and sales in The Information age.